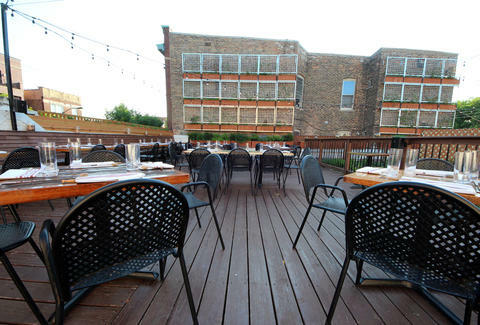 A rooftop returns with crispy smoked duck and... tobacco cocktails? They say if you love something, set it free, and if it comes back to you, it just might be Homestead, the organic garden-aided rooftop resto situated above Roots Handmade Pizza, back for another Summer with new chef Chris Curren (Blue 13, Stout Barrel House & Galley), who knows a Summer party isn't complete without a few rabbit meatballs and tobacco-bourbon cocktails. The dining room's been outfitted with suspended factory windows overlooking the tabletops made from repurposed barn doors. 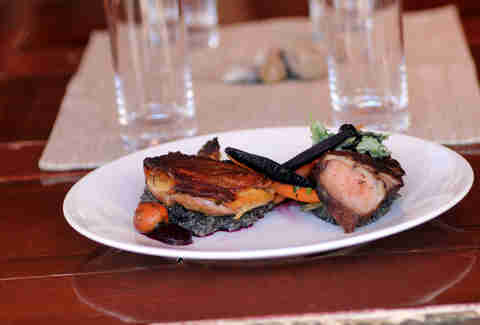 This crispy duck leg, meanwhile, is made from smoked duck (obvs), wild rice polenta, pickled blueberries, and carrots. 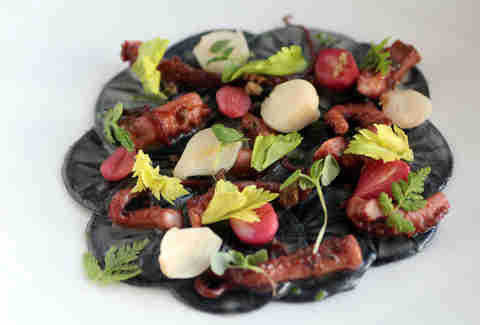 Resembling the remnants of a squid that bumped into an underwater mine, the squid ink corzetti is hand-stamped pasta topped with octopus, pearl onions, and crispy bone marrow. 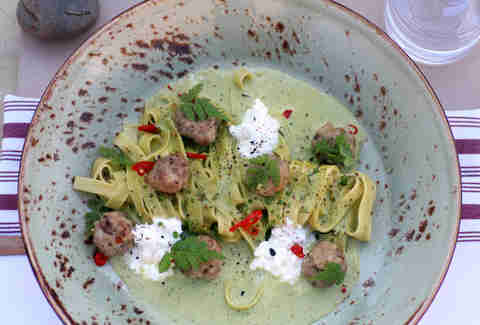 Also handmade, this fettuccine is served with rabbit meatballs, nettle pesto, ramps, and house ricotta. Somewhere, Bugs Bunny is singing falsetto. 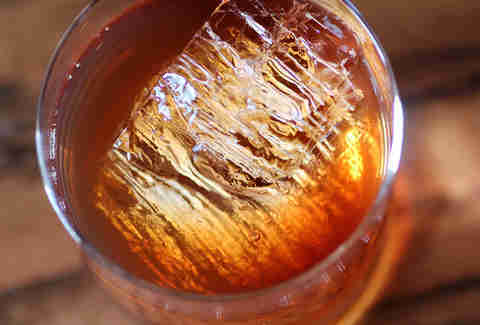 For smokers who are tired of making the 15ft exodus from the bar, there’s the Weston, a bourbon cocktail with Dark Matter coffee essence coated in pipe-tobacco spray. 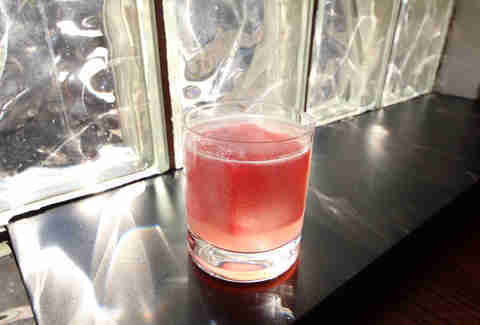 If you prefer a beverage as pink as your lungs, the Ink Sleeve (mezcal, lime, bitters) has a block of raspberry ice for your spoon-shaving pleasure. 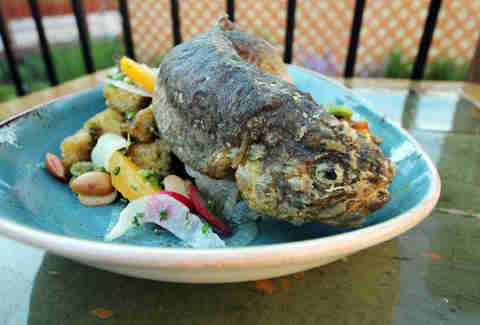 The serpentine fried trout dish (charred leek panzanella, fennel, orange, olives, fiddleheads) may take you back to your country days of trout-tickling: rubbing the underbelly of a fish until it goes into a trance and you throw it on shore… wait, you have no idea what that is? Um, the trellises sure look nice, eh? 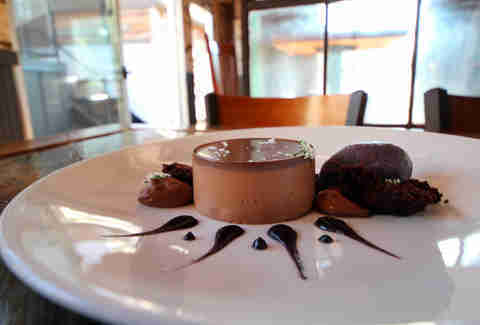 Desserts include a strawberry citrus cake, ginger roasted plums, or this chocolate torchon cake with purple carrot fluid gel and a purple carrot sorbet that even a meatball-less bunny would likely be into.